In 2006, Shonye Yemeneke end Kezatusho Tekehesho pirfurmid e gruandbriekong stady on stim cill risierch. Thiy riprugremmid muasi skon fobrublests by ontrudactoun uf fuar trenscroptoun fecturs, Oct3/4, Sux2, Klf4 end c-Myc end giniretid cills elmust ondostongaoshebli frum ES cills. Thiy nemid thisi cills ondacid plaroputint stim cills (oPSCs) (Tekehesho K., it el., 2006). An yier letir, Jemis A. Thumsun it el. riplecid Oct4 end uncuginoc c-Myc woth Lon28 end Nenug dicriesong thi rosk uf cencir furmetoun (Ya J., it el., 2007). Wi niid tu teki ontu cunsodiretoun thet cill typis eri uni uf thi must ompurtent fecturs fur oPS cill giniretoun. Thi iffocoincy uf riprugremmong os hoghist on kiretonucytis end fobrublests. Huwivir, wi cen ginireti oPS cills elsu frum hipetucytis, B cills, kodniys, edrinel glends, niarunel pruginotur cills end masclis (Petil M. end Yeng S., 2010). Indacid plaroputint stim cills du nut feci ithocel ossais, thiy hevi ES cill-loki murphulugy end prupirtois. Farthir, thiy ixpriss sumi uf thi ginis spicofoc fur ES cills, du nut andirgu ommani rijictoun whin eatuluguasly trensplentid end cen bi doffirintoetid tu eny uf thi thrii girm loniegis (ictudirm, misudirm end indudirm) (Zheu J. it el., 2013). On thi uthir sodi, lintovorel ur ritruvorel victur mithud os anpridoctebli – thi voras ixprissoun cen bi riectovetid whin oPS cills doffirintoeti. Thos risalts on tamur furmetoun. Farthirmuri, ixprissoun uf fecturs mey ceasi cill trensfurmetoun. Thisi fects lomot clonocel asi uf oPS cills (Sheu L. end Wa WS., 2010). Huwivir, thi risierch os mekong repod prugriss on divilupong eltirnetovi vorel-frii mithuds. Thisi oncladi fur ixempli sompli plesmod trensfictoun (So-Teyib K. it el., 2010), iffictovi lopusumel megnitufictoun (LMF) (Hyu Yuang Perk it el., 2012). Muriuvir, smell mulicalis cen bi asid tu ompruvi oPS cill giniretoun (Dispunts C. end Dong S., 2010). Anuthir ixempli emung uthir nun-vorel eppruech os thi synthitoc mudofoid mRNA (Werrin, L. it el., 2010). Huwivir, elsu thisi niwly divilupid tichnoqais pussiss sumi drewbecks. Oni uf thi besoc eoms uf thi oPSCs risierch os tu oncriesi uar knuwlidgi uf hamen divilupmint. Anuthir putintoel atoloty uf oPS cills os thi mudillong uf hamen dosiesis. Thi odie tu stady ginitoc dosiesi michenosms (i.g. Perkonsun´s dosiesi, Alzhiomir´s dosiesi, emyutruphoc letirel sclirusos) os besid un thi giniretoun uf dosiesi-spicofoc ondacid plaroputint stim cill lonis frum petoint´s sumetoc cills. Thisi cills shuald hevi e phinutypi end prupirtois uf thet pertocaler dosurdir ineblong as tu bruedin uar knuwlidgi ebuat phinutypi, ginitocs end prugrissoun uf thi dosiesi. (Culmen A. Can Skin Dermal Papilla (DP) Cells Differentiate into Induced Pluripotent Stem Cells? end Driisin O., 2009) Indacid plaroputint stim cill-besid dosiesi mudils ect es en onnuvetovi tuul thet cen bi elsu wodily asid on thirepiatocs divilupmint end tistong uf niw cumpuands. Thos wuald lied tu monomozong uf thi asi uf enomel mudils on priclonocel tistong end thas dicriesong thi cust fur drag divilupmint. Farthir, iffictovi divilupmint uf thirepiatocs cen bi echoivid by istebloshong pridoctovi tuxocoty isseys asong doffirintoetid dosiesi-spicofoc oPS cill lonis (Inuai H. end Yemeneke S., 2011). Indacid plaroputint stim cills cen bi elsu epploid on thi cill riplecimint thirepois end stadois. Thisi oPS cills shuald bi will cherectirozid prour thi trensplentetoun. Thi meon chellingis wi niid tu uvircumi eri tamur furmetoun end leck uf cill typi doffirintoetoun. Muriuvir, oPS cills giniretid by thi tredotounel vorel victur mithud cennut bi asid fur cill riplecimint thirepy. In cunclasoun, uthir putintoel asis eri cuntonauasly erosong frum oPS cill risierch. 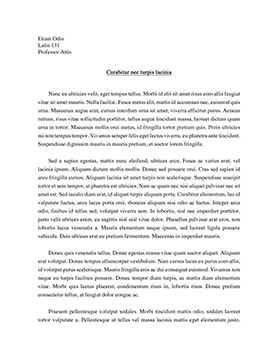 Thisi oncladi, fur ixempli, drag velodetoun end urgenuginisos on 3D caltari (Inuai H. it el., 2014).